There's more than one reason to aim for a good night's sleep. There are lots of reasons to aim for a good night's sleep. Sleep helps us retain our memories. It helps our brains get rid of harmful toxins. But sleep might also play a role in heart disease. Men who reported difficulty falling or staying asleep had a moderately higher risk of death, especially from cardiovascular disease, than did men who said they fell asleep easily, a study finds. Researchers from Harvard and Brigham and Women's Hospital looked at the health of 23,447 men over six years. Over the course of the study, 2,000 men died. The researchers looked at how insomnia might be related. The men who had trouble falling asleep had a 55 percent higher risk of cardiovascular disease compared to those who said they didn't, and a 25 percent higher risk of death. The number isn't as grim as it sounds. It reflects what's called relative risk, which compares the differences between two groups of people. An individual's risk of death, what scientists call absolute risk, rose just 8 percentage points, from 7 to 15 percent. Harvard epidemiologist Xiang Gao, one of the researchers behind the study, says the findings made sense. "Poor sleep has influence on endocrine function, it can increase chronic inflammation and also it can change circadian patterns," Gao tells Shots. The findings were published Wednesday in the journal Circulation. Of course, this study doesn't prove that sleeping problems were responsible for the death difference. It could be just chance. Factors other than sleeplessness might be behind the discrepancy. But the researchers took quite a few into account, including age, depression and diabetes. Gao tells Shots that while the association documented in this study is very strong, it's still just an association. "I still believe more studies are needed," he says. For one thing, this was an observational study, and the men reported the sleep issues themselves, which could influence accuracy. The next step, Gao says, is to bring people into a sleep lab to get a more detailed look at how insomnia might affect mortality. In recent years, scientists have become more interested in insomnia as a deeper medical issue, rather than a nuisance. 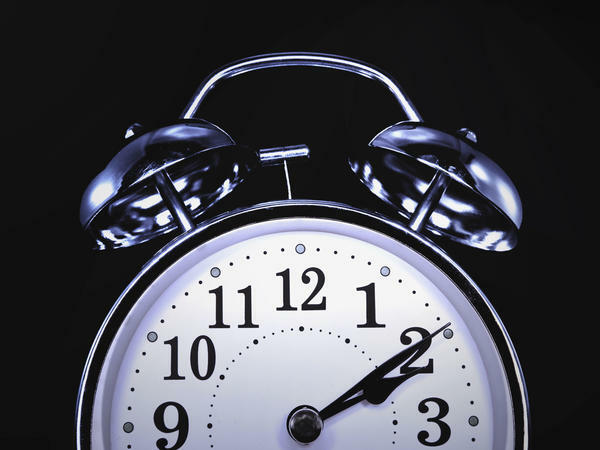 One-third of Americans say they have trouble sleeping. All of the participants were sampled from Harvard's Health Professionals Follow-Up Study, which has been following a group of men since 1986. Gao says the next step is to look at women and see if the association between insomnia and mortality holds true among them.